Rafting: White water rafting is to be had on many of the island's rivers including the Picton, Franklin, Mersey, Derwent, Meander and Arthur Rivers including multi-day adventures, awesome rapids and ancient rainforests. 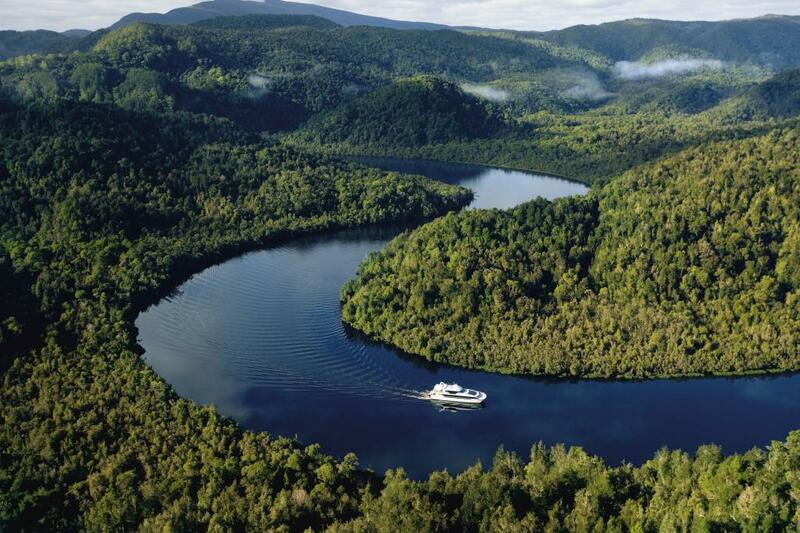 Jet Boating: A thrilling way to experience the wilderness areas, take on the calm waters or the raging rapids of the Huon, King and Derwent Rivers. Diving: Explore shipwrecks, reefs, unique marine environments and 30m kelp forests in Hobart, Launceston, Devonport, Flinders and King Islands, Eaglehawk Neck, St Helens, Wynyard and Bicheno. 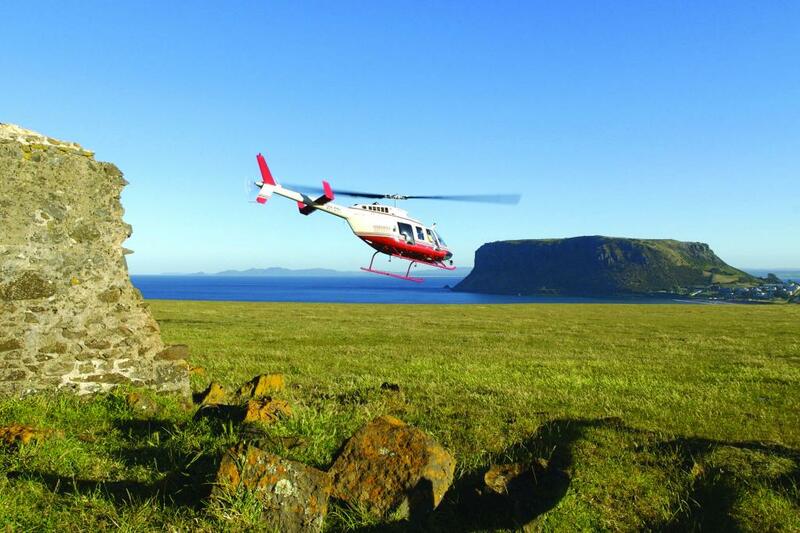 Wilderness Flights: Get a feel for Tasmania's remote and rugged beauty by hovering over sweeping expanses of nature, secluded rivers or beaches and spectacular stretches of wilderness. 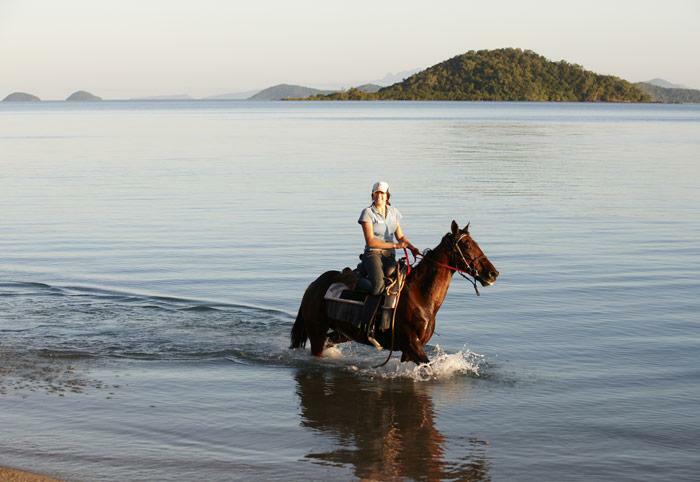 Horse Riding: Ride the trails once blazed by pioneers and cattlemen or spend a few days travelling from sea to sea beginning in the north and going all the way south. Trails are located in the Central Highlands, Peninsula, Cradle Mountain, Huon Valley, Seven Mile Beach near Hobart and more. 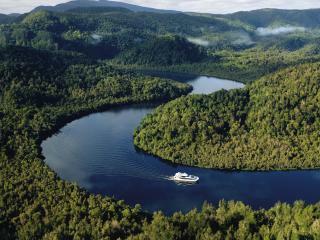 Cruising: Explore the stunning rivers and harbours of Tasmania with a relaxing range of cruises offered in Hobart, Launceston, the Gordon and Huon Rivers and the D'Entrecasteaux Channel. 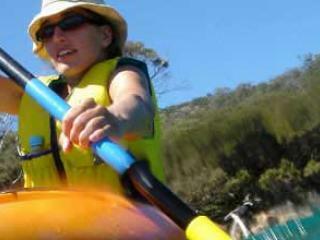 Sea Kayaking: Tasmania offers perfect conditions for sea kayaking both offshore and in sheltered waters in Hobart, Freycinet, Strahan, Bruny Island, Kettering, Bathurst Harbour, lower Gorgon River and Lake St Clair. Abseiling/Climbing: No matter your skill level, there are a number of thrilling yet stunning guided experiences available on the Tasman Peninsula, Cataract Gorge, Mt Wellington, Ben Lomond and Coles Bay. 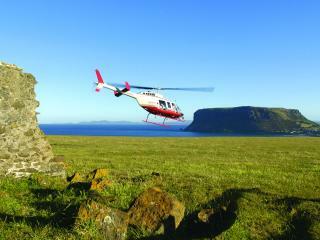 Caving: Not just an adventure activity, there are plenty of caves with easy access for the whole family. Home to dolomite and limestone caves, the amazing caverns, reflection pools, glow-worm constellations and crystals can be found in Newdegate Cave at Hastings, King Solomon's Cave near Mole Creek and Gunns Plains Caves. Cable Hang Gliding: Experience the thrill and freedom of enjoying Tasmania's stunning scenery from a birds' eye view on the safety of a cable near Launceston at Lake Trevallyn. Cycling/Mountain Biking: The short distances, friendly locals and amazing scenery make biking through Tasmania a wonderful experience. Choose from national parks, valleys, islands, coastline, circuit or World Heritage wilderness. All-Terrain Touring: Head off the beaten track with a licensed guide or on your own over secluded bush tracks, abandoned railways lines and old stock routes.